Although we are a single form entry school with one class in each year group, we greatly value the friendships and supportive learning relationships that develop between children of different ages here at St George’s. 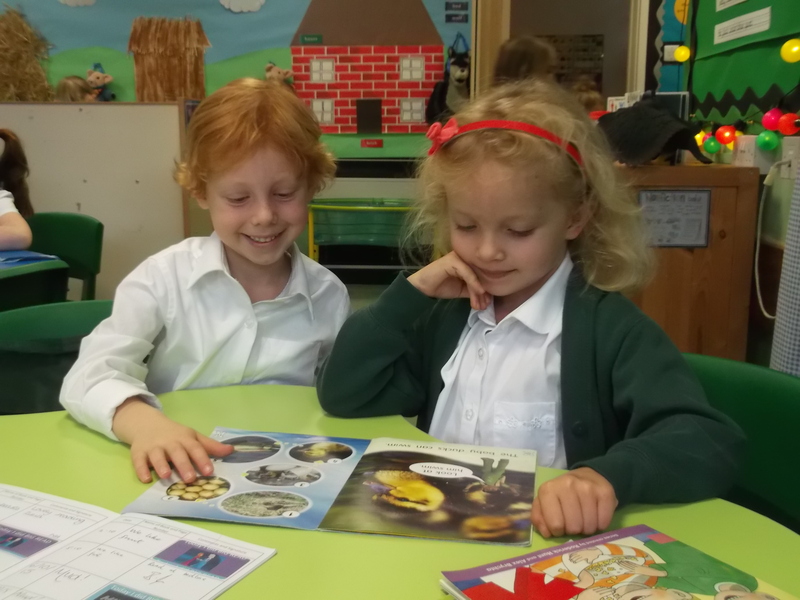 This starts in the Early Years Foundation Stage with strong teamwork between the teachers of both the Nursery and Reception children and a vibrant, spacious and flexible shared learning environment with two interactive whiteboards, cosy corners for quieter learning and an exciting outdoor area – which is hugely popular with the children! As the children progress through the school we continue this emphasis on collaborative learning and co-operation across the different year groups in our ‘rotation’ classes of enrichment activities in smaller, mixed-age groups as well as through ‘buddying’ programmes such as Year Five pupils supporting children from EYFS during lunchtime, and shared reading projects.